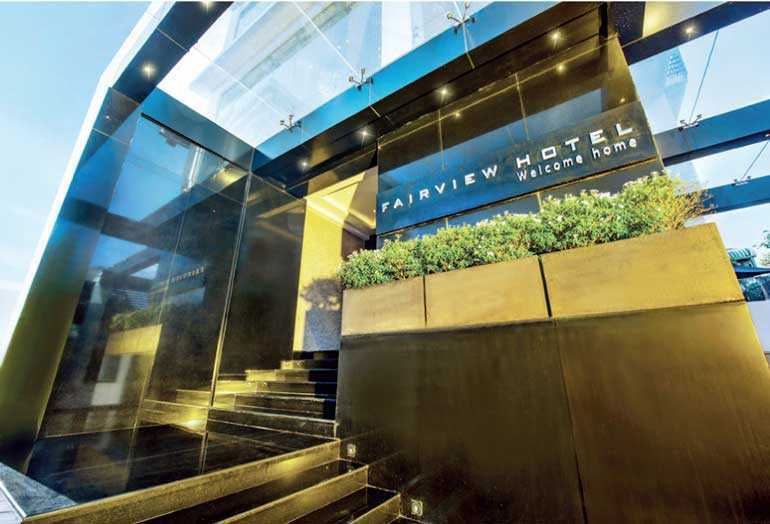 Fairview Hotel Wellawatte is especially designed to offer the best in comfort and convenience with a dedicated team whose wealth of experience and expertise will ensure exceptional standards of service and care to all our guests at an affordable price. The property is placed on the edge of Colombo’s city limits, away from the hustle and bustle, off Ramakrishna Road, Wellawatte. The convenience of being within easy reach, offering breath-taking views of the Indian Ocean with all modern amenities needed combined with little homely touches, it is the ideal choice for a comfortable, inspiring and productive stay in Sri Lanka’s commercial hub. This modern and economically priced niche hotel is set amongst the breathtaking beachside with stylish design features with soundproof bedrooms, premium quality bedding, soft feather pillows, and crisp, cool sheets to wrap guests in cool comfort, ensuring the best in sleep quality. Other in-room facilities include tea/coffee making facility, free Wi-Fi, satellite TV, hair dryer, built-in ironing board and iron to name a few which would exude a rare combination of homely wellbeing and contemporary elegance. The breakfast room located on the ground floor offers an inviting and wholesome buffet breakfast with fresh tropical fruits, yoghurt, a variety of breads from the in house bakery and freshly brewed Sri Lankan Tea and African coffee comprising a healthy breakfast. The humble and courteous staff will ensure all special requests are obliged. For lunch and dinner an a la carte menu will allow guests to pick their favorites. A specialty is the authentic Nilaveli crab curry served with coconut sambol, dhal curry, roast paan and steamed rice for lunch and dinner. A midnight snack counter is available to appease any afterhours hunger pangs. It serves a range of Western and Eastern cuisine and for those with any special dietary requirements, the team of chefs will gladly accommodate pre-order requests any time .The hotel’s laundry is open from 7 a.m. to 7 p.m. daily. Guests in house can unwind at lounge on the mezzanine floor or the rooftop lounge overlooking the breathtaking Indian Ocean. Since its opening in July 2015, the quaint 50-roomed property continues to win accolades from suppliers based on customer feedback year after year. The hotel has received the ‘Guest Review Award’ from Bookings.com from the inception and Hotels.com, in addition to the ‘Loved by Guests’ award for 2018/2019 from Expedia.com based on the feedback from its valued guests. The hotel is owned and managed by Tangerine Group of Hotels and Mercantile Investments and Finance Plc.